It's not my responsibility to make those mods compatible. They need to properly support the biome type registry, or they'll cause problems for any mod that references it. Edit: Just reread your post, if you're not talking about the biome crash thing, and rather about world type setting. That's not been part of the mod for many years now. I've tried to make dungeons spawn in the Nether by leaving the dimension whitelist blank, but it seems to reset itself to dimensionWL=0 - is there a way to make dungeons happen in all dimensions? They are pretty cool, as they offer variation AND building inspiration; a lot of them just look really nice. OH! I put "dimensionWL=-1, 0, 1", is that correct? I can definitely see they're a little broken for it, so I hope that will work out some day :) but very cool! It's a little goofy. A version for the nether would have to be quite different. I also get this error it seams to happen randomly for me. This problem seems to be caused by other mods that don't properly register custom biomes in the forge biome type registry. I can't fix it on my end. If you check the location it's probably in a custom biome. I made a command "roguelike biome" just for testing this issue. It'll probably trigger the same crash. That should give you an idea where the issue is. Hmm, looks like Biome Bundle could be the cause then? Epic mod!! I was wondering if there were any plans to port this to spigot/bukkit? I understand that this is asking for a heavily changed version. If it is not possible that's fine I still appreciate the work done so far. So many issues left unaddressed. Is this mod still going to support 1.10.2 with new versions with fixes to several debilitating issues? Kind of a two part question. On the one hand I have sort of given up backporting to older versions of minecraft because it's a lot of dev overhead to do so. The core changes in forge are mostly abstracted away in my mod to make version changes easy to deal with, but certain fundamental changes make feature ports very difficult to do without introducing new bugs in the process. That being said, when a gamebreaking bug is found in an older version I will typically open a maintenance branch of the older version and fix the problem. As a matter of practicality I generally prefer to stick to whatever version is currently supported/recommended by the forge team. 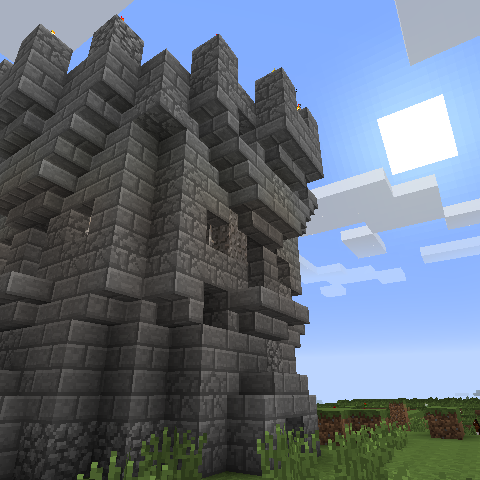 I've been messing around in a creative world and I wanted to see all the different types of towers. So I tried to run the command /roguelike dungeon here [setting]. I replace [setting] with the names of the towers you have already in the mod. However every time I run the command, example: /roguelike dungeon here EthoTower, it always says it cannot find the file. I'm having a problem with inheritance. When I put "loot0" in the inheritance array, no loot from loot0 is spawning in the chests. I was playing All The Mods 1.11 and it crashed. Can you fix it? Looks like it slipped up some kind of biome type error. Do you have any biome mods installed that would maybe not use the vanilla biome strings (like "cold", "dry", "ocean"...)? Yeah. Biomes o' plenty in ATM 1.11. He updated it yesterday, so it should be good.